President Yoweri Museveni has directed the Ministry of Education and Sports to ensure that Uganda sports men and women who win medals at the African level and beyond get financial support from government and also get job placements with government agencies especially the Army, Police, Prisons, Uganda Wildlife Authority, Intelligence Serves etc. The President also directed the Ministry to construct a high altitude training facility in Sebei region within a year and said athletes employed in government service should be encouraged to get more time for training in addition to their normal duties. The President was this morning hosting Team Uganda including the Olympic gold medalist Stephen Kiprotich to a State Breakfast at State House in Entebbe. He commended Kiprotich for winning the 42km marathon run to bring home gold during the just been concluded Olympic games in London. “I need to salute Kiprotich and those people who helped him to train. He is a real member of the NRM. When there was confusion in Uganda he went to the bush in Kenya. This gives us morale boost to organize ourselves better,” he said. The President said when another star athlete Kipsiro won gold in India, he had made some directives which are yet to be implemented and vowed that the new directives must take immediate effect. President Museveni said that the Government had not really prepared well for the Olympic games because it had to solve various issues including restoring peace and security, infrastructure development including roads and electricity etc and noted that the people of Kapchorwa were also not settled because of displacements and that it is now that they have had the opportunity to return to their homes. He noted that the NRM Government has been busy working on roads and electricity. 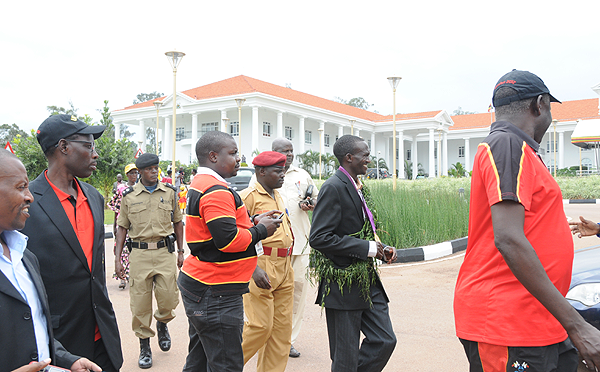 He said that in spite of the problems the Government has succeeded in promoting UPE. President Museveni said “this medal is from God particularly now that Uganda is celebrating 50 years of independence”. He was pleased to note that each year the Government has been constructing between 20 and 25 Schools. 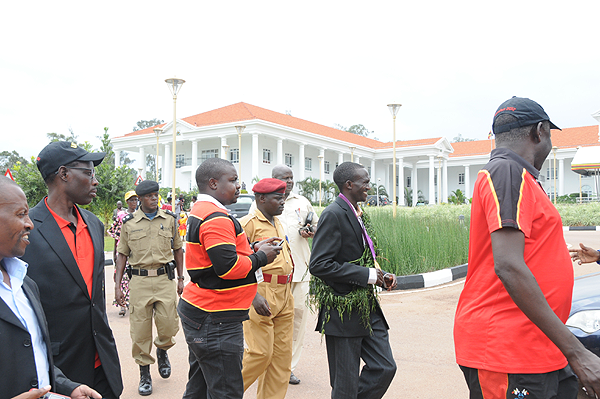 Steven Kiprotich who was accompanied by his wife, children parents, relatives and friends, thanked the President for his support and commended all the sports men and women who are part of Team Uganda and contributed to his success. The breakfast was also attended by the Vice President Edward Kiwanuka Sekandi, the Prime Minister Amama Mbabazi, the Minister for Education Jesca Alupo among others.